St Stephen’s church in the Old City of Bristol has been a partner with Sacred Land from the beginning. In 2016 it reopened its cafe in conjunction with the Brandon Trust to offer employment training services for people with learning disabilities and autism. Trainees gain work skills and experience, as well as an income and friendships and support. 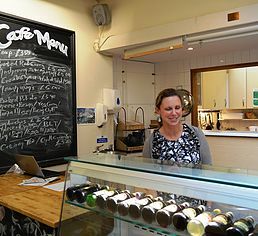 There is a work skills programme and a job coach: as well as a nice cafe with ethical food. We are delighted to start and end our Sacred Land walks at this lovely, inspiring, and sacred location. The coffee and service are great, too.